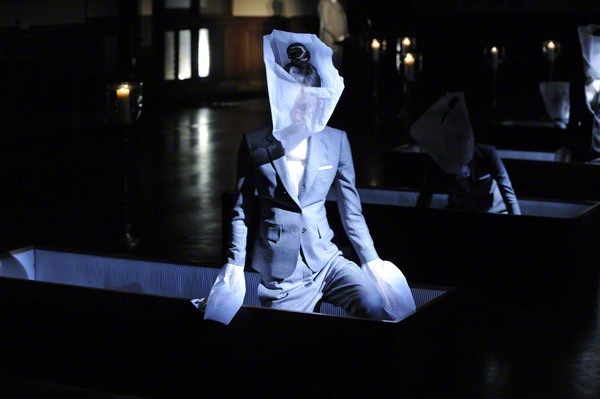 Ten coffins had been arranged in a row. 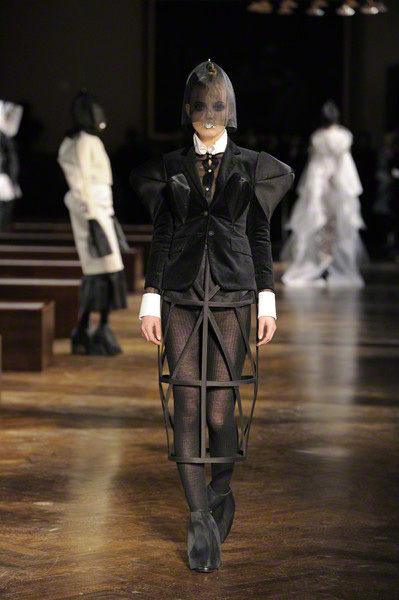 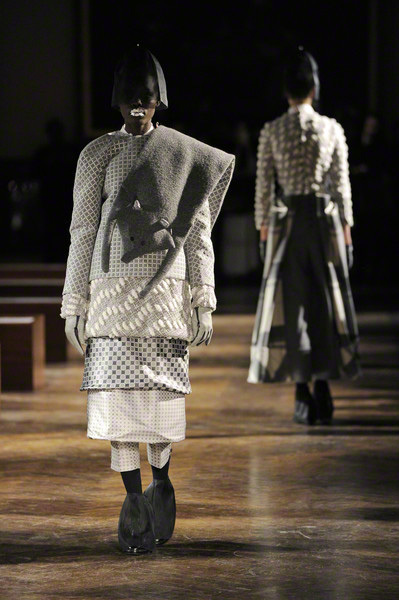 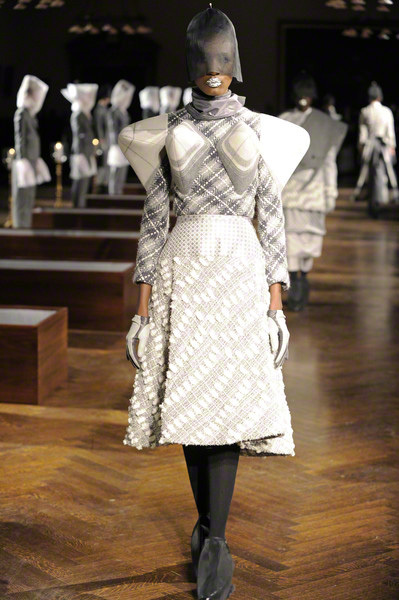 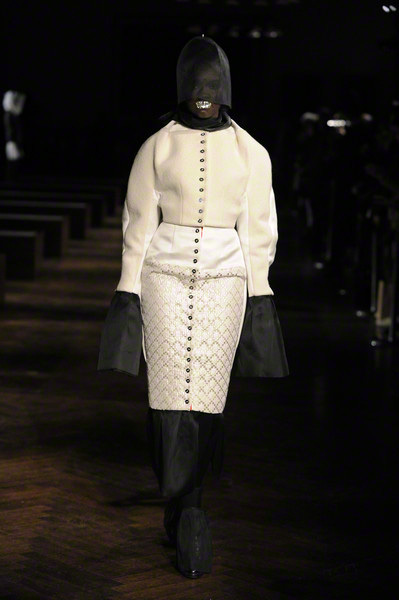 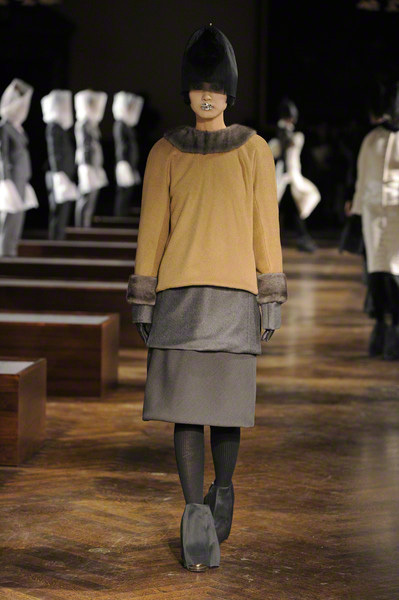 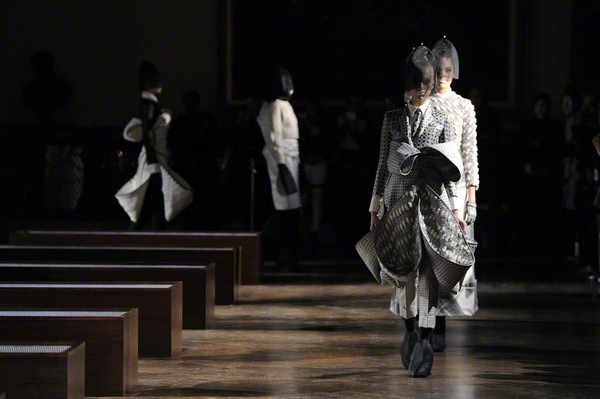 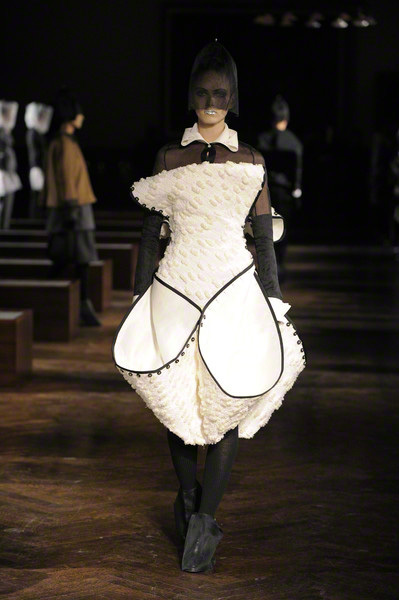 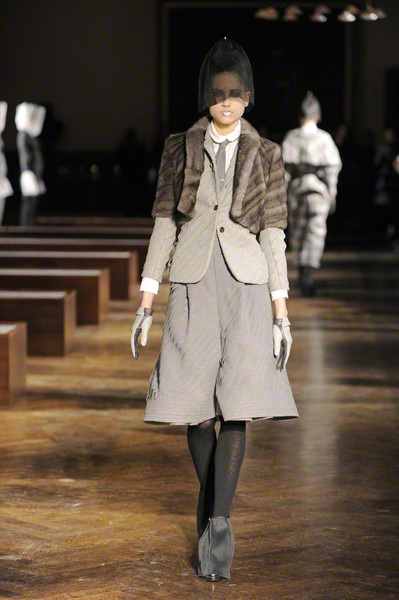 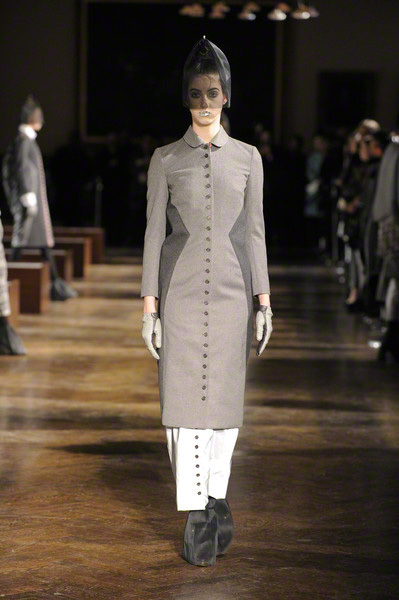 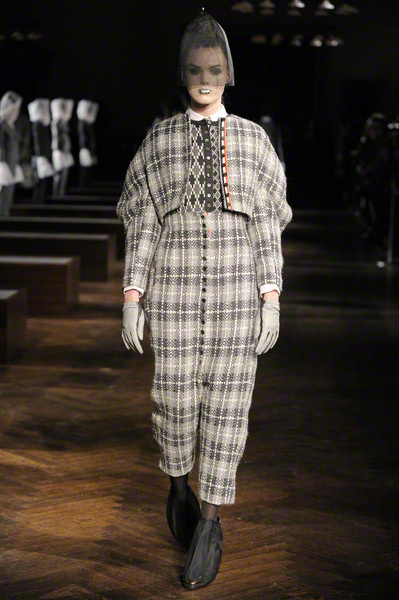 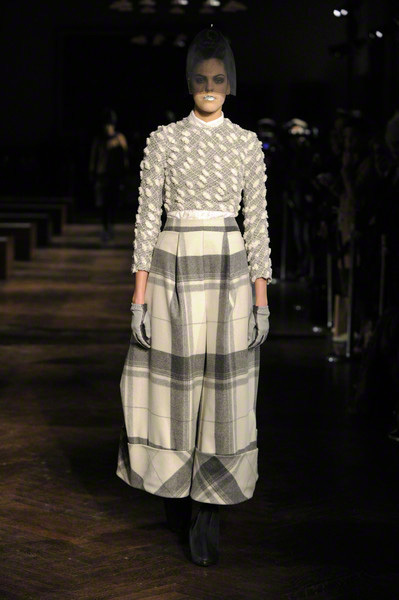 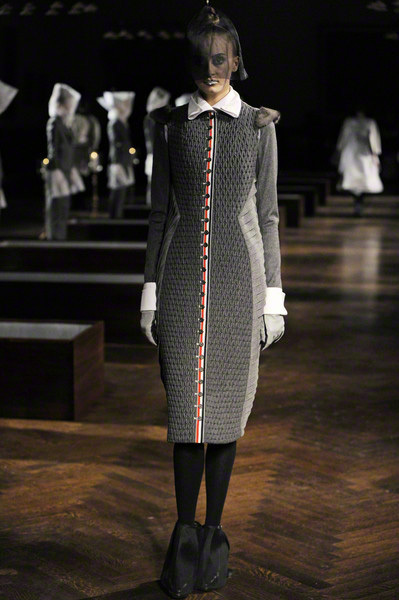 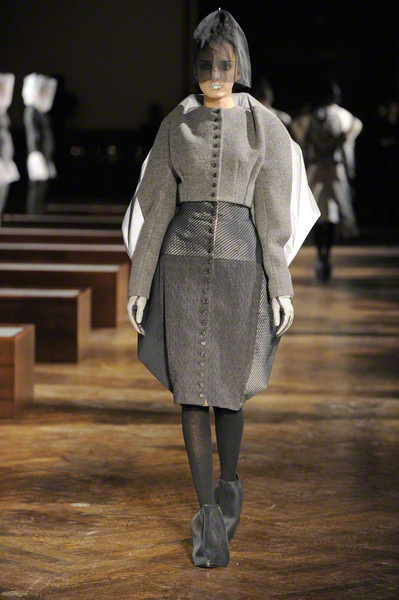 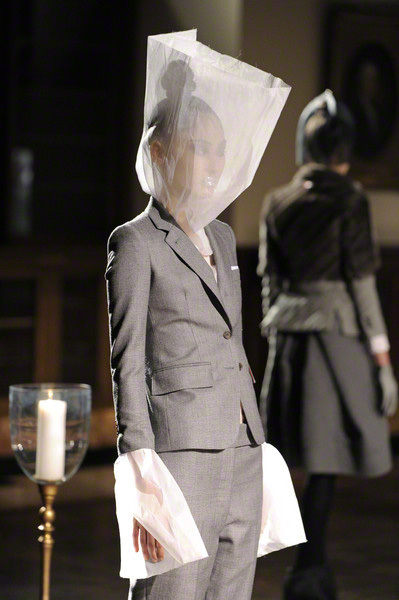 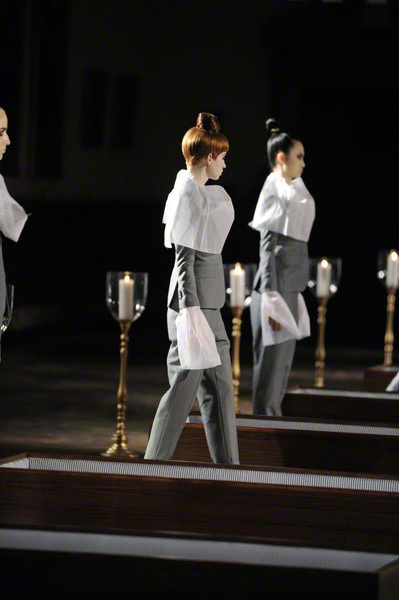 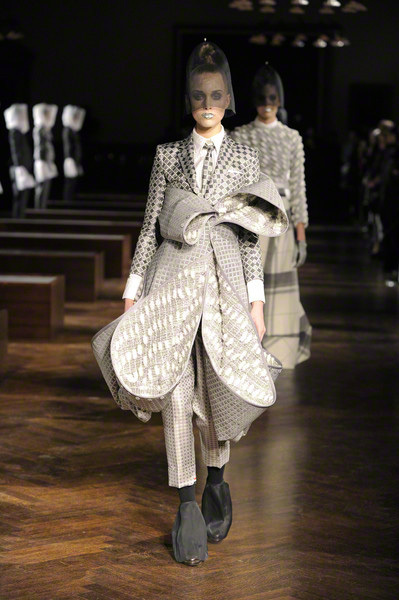 They held the bodies of “ten beautiful girls who died for fashion,” according to a gray-suited female rector who introduced the scenario at Thom Browne. 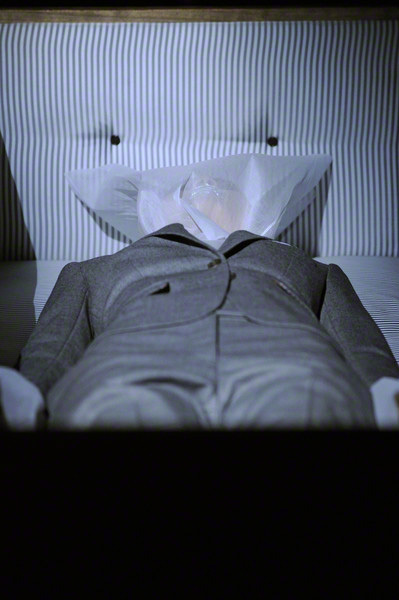 The clothes were meant to represent their final reverie. 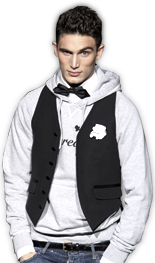 Browne’s scenario called for his victims to be reanimated by their love of fashion. 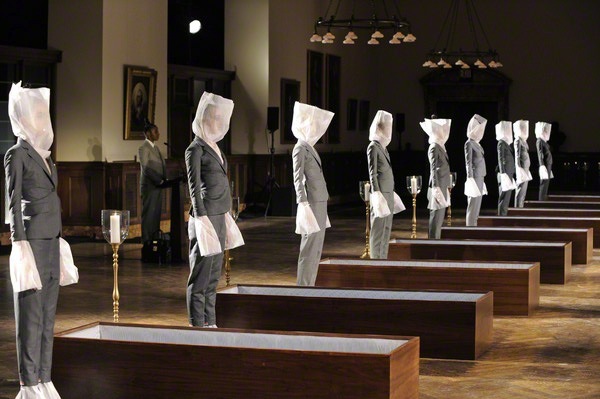 They clambered out of their coffins and stood sentinel-like while models meandered around them. 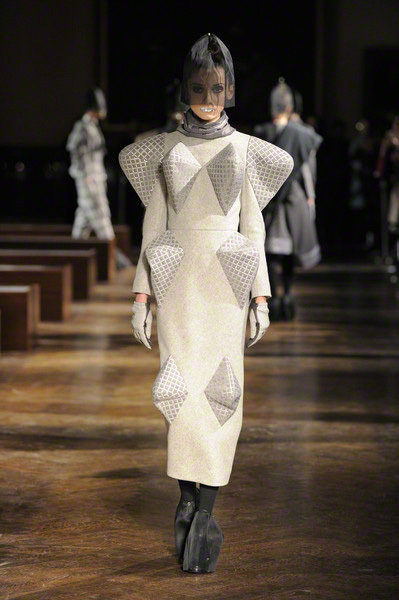 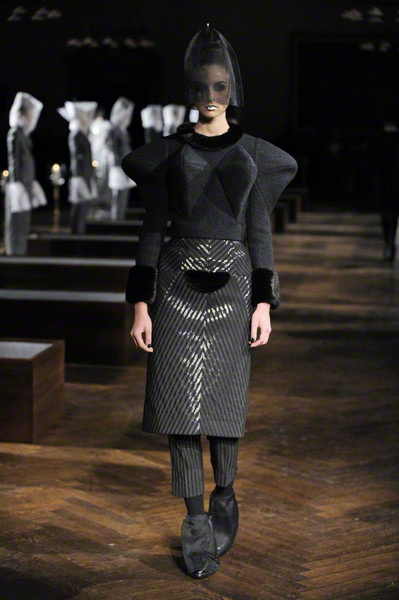 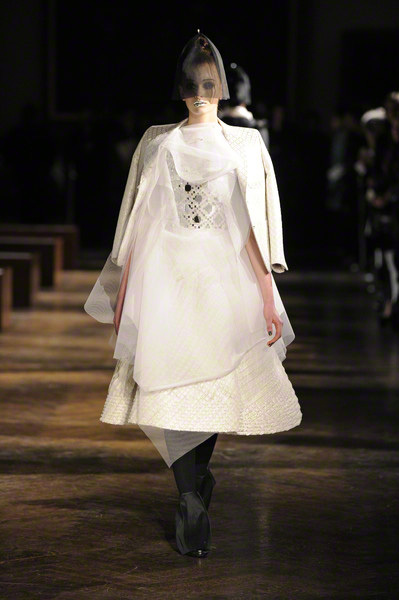 They were dressed in layered, folded, draped, parachuted and reptilian-spiked creations. 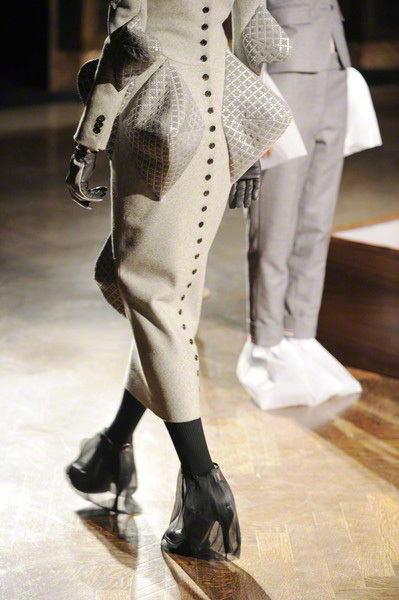 Tailored jackets and skirts of varying lengths were layered on top of one another while fox scarves in wool, complete with head and legs, were draped over models’ shoulders.